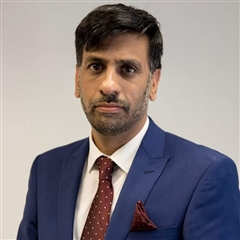 Jehangir Malik is the chief executive of Muslim Aid, a faith-based British humanitarian charity, whose work is governed by the social justice and compassionate teachings of Islam. Prior to joining Muslim Aid in September 2016, Jehangir was chief executive of Olympic legacy charity International Inspiration, and, prior this, he was at Islamic Relief Worldwide, starting as a volunteer and working up to national fundraising director before spending his last six years at the charity as its UK director. Jehangir engages with government departments and think tanks, by providing policy briefings and strategic engagement on international development and foreign policy issues. His work often takes him on humanitarian missions around the globe in some of the most hostile environments. In 2010, Jehangir was awarded an OBE in recognition of his 20 years of contribution to the humanitarian cause. Jehangir is currently on the board of trustees at Acevo and the Runnymede Trust.